Rosberg drew first blood as the season commenced, continuing his form from the backend of 2015 to one-up his Mercedes teammate, Hamilton. The German driver won the first four races to sit 43-points clear at the top of the standings. As Hamilton struggled, a miscellany of curious championship-destination thoughts abounded in Rosberg's favour. However, at present, Rosberg's glorious start to 2016 feels like a long time ago. His British teammate, Hamilton has dominated the last seven races - a span in which the world champion turned things around at the Hungaroring and then launched into trail-blazing mode in Hockenheim (Rosberg's home race) last time out. Rosberg's ordeal on race day at Hockenheim was an anticlimax to the expectation of a bounce back to the top of the standings that his pre-race display suggested. The German topped the timesheets in all practice sessions, and after an aborted first run, due to an electronics issue with his car, he posted the fastest time in Q3 - a lap he called 'one of the best ever'. But his race turned out to be a disappointing one, rounding out a miserable month for the German: He accrued 57 points in July, leaving him out-performed and out-podiumed by both Hamilton and Red Bull's Max Verstappen. Where did it go wrong for Rosberg... and right for Hamilton? 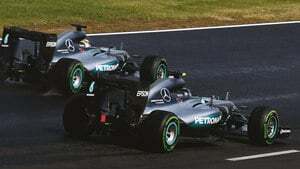 It is tenable that the platform for a turnaround in the title race was laid at the Spanish Grand Prix at Circuit de Catalunya where Rosberg and Hamilton collided on the run to turn four, with both drivers crashing out spectacularly. The incident ended Rosberg's run of seven successive race wins and ultimately his momentum. It would also mark the beginning of a mixture of poor performances as well as experiences of slightly unfortunate events by the German. Interestingly enough, this coincided with Hamilton's liberation from most of the problems relating to reliability, shunts, and poor race starts he encountered at the start of the season. The Briton would go on to collect 160 points from a possible 175 in the seven races that followed the crash in Spain. In fact, if the seven grands prix after the Spanish GP were the only races that constituted the 2016 calendar, Hamilton would have beaten Rosberg to the title by 62 points. What's more, if you add the DNFs of both Mercedes drivers in Spain, Rosberg would still have lost out to Hamilton but in third place, behind 18-year-old Verstappen as well. Earlier in the season when Rosberg was in his heyday, he did not fail to allude to the fighting spirit in his teammate, Hamilton. The German surely expected a fight back, but what he may not have envisaged was the food-for-thought gap of 19 points given to him by Hamilton heading into the summer break. While Rosberg will be spending most of the four-week break plotting a strategy for reprisal, it is all but certain that could-have-would-have-should-have thoughts will flash through his mind. Barring the European Grand Prix in Baku, things have gone awfully wrong for Rosberg since his momentum-ending crash in Spain. He struggled for pace in Monaco, finishing 7th. In Montreal, he spent most of the race working his way up the field after dropping to ninth place due to a slight collision with his fellow W07 at the exit of Turn One on the first lap. Afterwards, he suffered a slow puncture on his right-rear tyre that forced him into an additional pit stop. At the end, he finished in fifth place. In Spielberg, another collision with Hamilton at Turn Two on the final lap (an incident Rosberg was largely at fault for, even though he had problems with his brakes heading into that lap) damaged the German’s car and saw him drop from first place to finish fourth. In Silverstone, Rosberg finished second but was later demoted to third after being handed a 10-second time penalty for receiving too much help from the Mercedes team over the radio when he encountered a gear box problem. And in Hockenheim, Rosberg started on pole but had a humdinger of a terrible getaway. As a result, the German fell behind Hamilton and the RB12s of Verstappen and Daniel Ricciardo on the run to the first corner. Rosberg was later handed an in race 5-second penalty for forcing Verstappen off track at the hairpin. When Rosberg served the penalty on his final pit stop, a 'stopwatch failure' within Mercedes made the German serve 8.3 seconds instead. Is there a way back for Rosberg? The summer break may just have come in handy for Rosberg as it pauses Hamilton’s revival and gives room for the German to address his performance slide. But apart from conjuring a pathway to close the gap between himself and Hamilton on the standings, there is also need for Rosberg to close the obvious psychological gap on Hamilton. 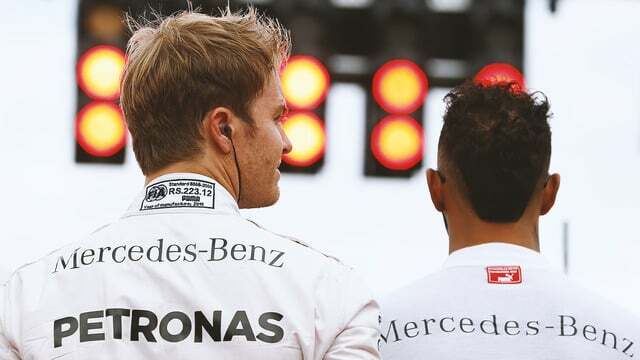 As a sportsman, Rosberg has some level of self-belief and mental toughness but perhaps not as much as Hamilton, who has shown steadiness under pressure in tough times to be consistent in performance. Hamilton’s experiences since his debut in 2007, especially his dramatic title in 2008 which he won by the same margin (one point) he lost out the previous year, and twice clawing back a 29-point deficit in 2014 to defeat Rosberg, have undoubtedly played a role in moulding the 31-year-old into a more complete driver in all areas. Thus, it is fair to say that the Briton knows how to manage the pressure that comes with back-and-forth situations in a title chase which, in addition to his exceptional driving skills, acts as a massive source of self-confidence and nerve control. 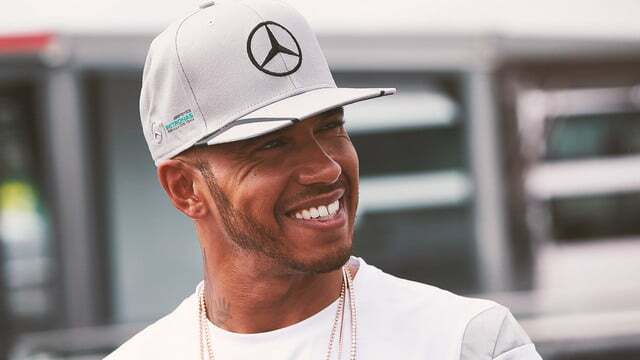 Consequently, even though Rosberg tries to make a competitive statement, it is fast becoming the norm that Hamilton always has the final say which, in turn, justifies the widespread notion that Hamilton is the better driver. This is an uncomfortable truth for Rosberg who has never finished above Hamilton on the standings in Formula One and with 19 career race victories holds the unenviable record of the most race wins in Formula One for a driver yet to win a championship. However, the sooner he re-invents himself psychologically, the better for Rosberg in his chase for a first title and escape from the shadow of Hamilton. In addition to the psychological battle, as much as he can, Rosberg needs to focus on sustaining his ability to outqualify his team-mate and consolidate pole position with a proper getaway on race day. It would be much easier for Rosberg, as long as he develops nerves of steel, to control a race from the front compared with having to navigate through the field or even starting from P2. The task of catching up with a car as fast as his fellow Silver Arrow (driven by the prodigiously talented Hamilton) during a race could make Rosberg push the car to its limits and mismanage his tyres, which would ultimately compromise his race. Another area that could potentially serve up an opportunity for Rosberg is Hamilton's engine status. In what is a direct result of the mechanical problems he encountered at the start of the season, Hamilton stands the risk of incurring, at least, a ten-place grid penalty, having already used the maximum number of turbochargers and MGU-H units (two out of the six components) that make up his engine. The rules permit a driver to use only five of each of the six separate engine components in a season. It is unlikely that Hamilton will go through the nine remaining races this season without having to replace one or more of these components (especially the turbocharger and MGU-H). The three-time champion may, as he has suggested, use two engines in a subsequent race to increase his pool of engine components. This would translate into a race start from the back of the grid. Despite the fact that Hamilton may adopt this strategy on a track that favours overtaking, it still presents a chance for Rosberg who, all other things being equal, should start that same race at the front row and take some points off his teammate. Furthermore, Hamilton is also treading a fine line in the context of reprimands. There was concern after he was summoned by the stewards ahead of qualifying at the German Grand Prix due to an unsafe release in the final practice session. However, Mercedes were fined by the stewards, leaving Hamilton cleared but still on the edge. The three-time champion is one reprimand away from a ten-place grid penalty. This also presents an opportunity for Rosberg. So, to be realistic, Hamilton’s lead may not immediately turn out to be a momentous one after all, which implies that it is not yet doom and gloom for Rosberg. 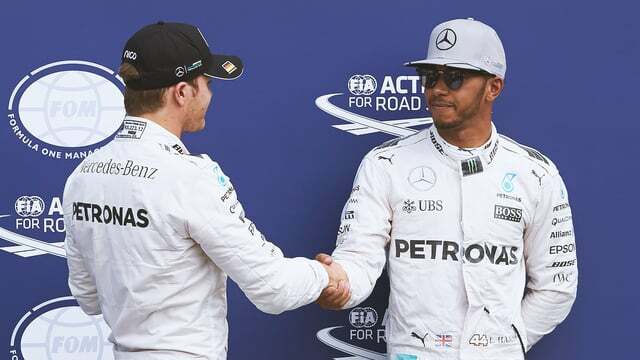 Although it is hard to imagine a relapse for Hamilton now that he has taken the lead, if Rosberg continues to position himself in such a way that he can make full use of any advantage that pops up, then a ping-pong tussle may erupt at the top of the standings. On the whole, 2016 has not been a straightforward year for tournament favourites in sports: Danny Willett won the Masters after Jordan Speith's final-round breakdown in Augusta; Leicester City won the Premier League against all odds; the Caveliers, in an unprecedented recovery, won the NBA title at the expense of the more fancied Golden State Warriors; Porsche won the 84th Le Mans 24 Hours after a heartbreaking last lap power failure suffered by Toyota; and Portugal shocked France to win Euro 2016. So who knows what Formula One has in store? Well, we will find out in November. It is a long wait but one that may be fraught with drama.